This team was aptly dubbed "Team No Tuition" (TNT Squad) by a parent at the beginning of the season and it appears that the name is appropriate. These young ladies blazed a trail of destruction during the past two travel seasons. In 2017 they finished 57-7 (4 OT losses) and won the 16-U Division of the Deep South Classic in North Carolina while playing "up." This team did not lose a Pool game all year and made it to every championship game of every tournament except 2 -- in those two they made it to the Final Four. They finished the 2018 Spring season undefeated and are primed to compete during the summer session. 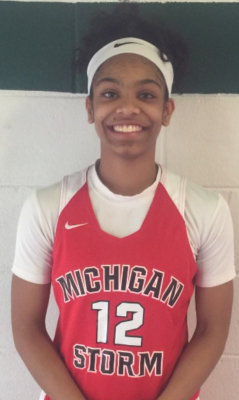 GABRIELLE ELLIOTT-2020: 5'11" Wing/Detroit Edison High School. ​"G5" has a relentless motor and a will to win that very few have. An extremely athletic and long player, Gabby can scores in bunches and in a variety of ways. She gets to the rack and finishes in traffic, leads the break and nails the trey ball. She is unphased by the competition and always looks forward to playing the best opponents out there. Was recently ranked by ESPN as a top 50 player in the Class of 2020 Nationally. More than a dozen Division 1 offers . SANAYA GREGORY-2020: 5'5" Point Guard/E. Lansing High School. Pound for Pound perhaps the toughest defender in the 2020 Class. She has often been called upon to defend the opponents' best player and she never disappoints. Runs her team, does nothing flashy, but is always effective. First year with the program, being recruited by Division 1 programs. 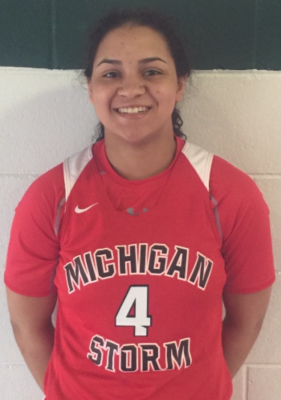 MOIRA JOINER-2019: 5'10" Guard/Saginaw Heritage High School. A two-time All-Stater, "Mo Money" has been a coach's dream since joining the Program. She is a highly skilled warrior who is big in crunch time. A physically strong guard, Mo can direct a team from the point guard position and/or bury an opponent with her offensive abilities. One of the best in the Class of 2019. Michigan State University commit. 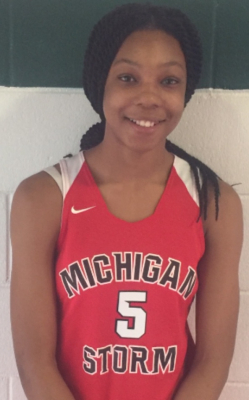 CHEYENNE McEVANS -2020: 5'8" Guard/Southfield A&T High School. 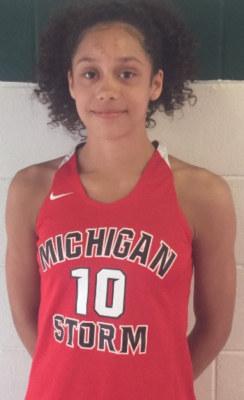 ​If there is a more explosive and athletic guard in Michigan in the Class of 2020 I haven't seen her yet. Cheyenne can do it all. She can shoot the deep ball, get to the rack off of the bounce and finish with contact and/or shoot the midrange jumper. She is also an aggressive defender with explosive leaping ability. She is capable of scoring outbursts while defending the opponents' best player. Multiple Division 1 offers. AALIYAH McQUEEN-2020: 5'9" Combo/Goodrich High School. 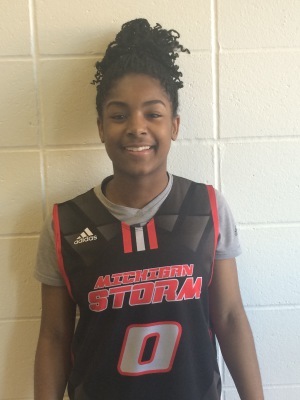 ​Aaliyah is a tough, athletic and dynamic player. She is capable of taking over a game on both ends of the court. A ferocious rebounder, she plays the passing lanes with the best of them and drops a couple of jaw-dropping "dimes" per game. She is a walking double-double who possesses a true love for the game. Multiple More than a dozen Division 1 offers. 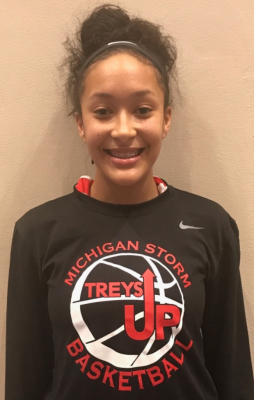 AALIYAH NYE-2020: 5'10" Wing/E. Lansing High School. She does it all, period! Beautiful stroke, scores from all three levels. Effectively defends the perimeter and the post and has an extremely high IQ. Not prone to mistakes, she always impacts the game and does it in a quiet way. She is a high major talent and one of the best in the Class of 2020. Multiple Division 1 offers. MAHRIANNA PETREE-2019: 5'11" Wing/Arbor Prep High School. A silky smooth player who is very versatile and skilled. Marhri is outstanding on the offensive glass and does all of the "little things" despite having an advanced skill set. She can shoot the 3, get to the rack, post up and/or shoot the midrange. Mahri is the definition of a team player and simply does what's necessary for the team to get a win. Bradley University commit. 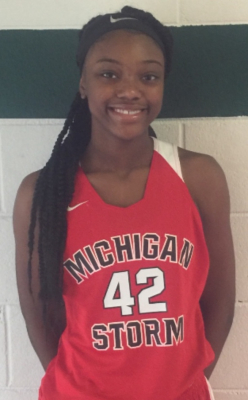 SHINE STRICKLAND-2019: 6'0" Forward/Saginaw Heritage H.S. ​​A tough, smart leader who plays larger than her size. Although noted for her defensive and rebounding abilities, Shine has great post footwork and she saved the TNT Squad in the USJN Memorial Day Challenge Championship game with an 18 point second half scoring utburst. She is very athletic and is ultra-competitive. More than a dozen Division 1 offers. 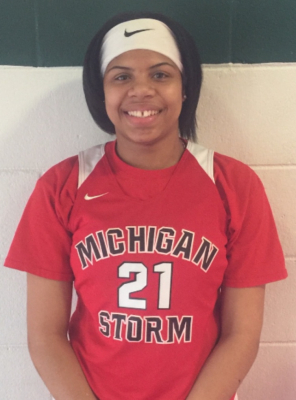 DESTINY STROTHER-2019: 5'9" Guard/Flint Carman-Ainsworth H.S. A silent assassin, Destiny Strother is as smooth as they come and her offensive efficiency is astounding. Destiny will light you up from deep, score at the cup or in the open court. She does not take bad shots and has an excellent IQ. Defensively, her long arms allow her to play the passing lanes extremely well and she consistently creates defensive pressure on opponents. Although possessed with a quiet demeanor, Destiny is a ferocious competitor. Her game does all of the talking. More than a dozen D ivision 1 offers, including Power 5. Committed to Marquette. 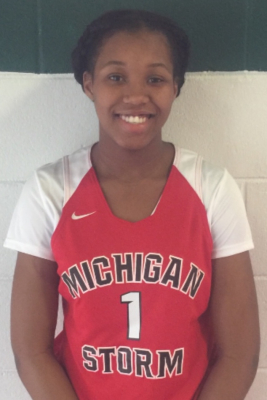 DAIJA TYSON-2020: 5'3" PG/Detroit Edison High School. 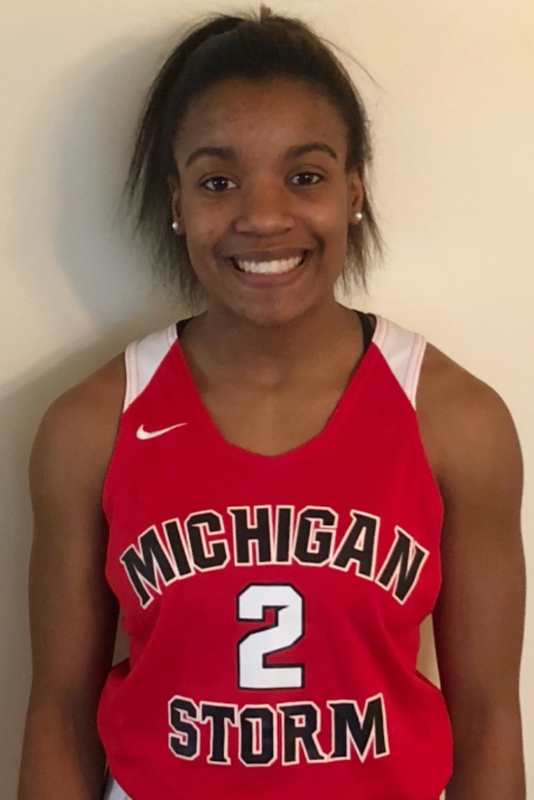 The best point guard in the 2020 Class in Michigan, Daija is recovering from an injury this summer and has not been able to participate with the team. She is a warrior and a natural leader who has played "up" her entire career and done so extremely well. Daija imposes her will on opposing guards and sets the tone for her teammates with her toughness and leadership. A one-person fastbreak, Daija is extremely quick and disruptive on both ends of the court. Mulitple Division 1 offers. 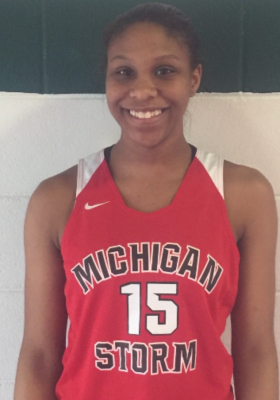 TAYLOR WILLIAMS-2019: 6'2" Forward/Macomb Dakota High School. "Big Slim" is one of the most intriguing prospects in our entire Program. Her length, athleticism and competitiveness will allow her to play at the highest level of college basketball. Taylor handles the ball in the open court and is very active in the paint. Defensively, she causes opponents problems with her length and is a very good shot blocker. Blowing up! Multiple Division 1 offers.